This is a nice piece of Confederate veteran history. 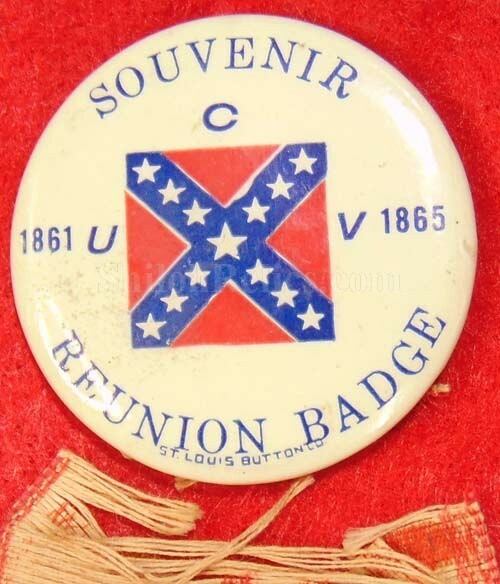 It is an original item from a reunion of the Civil War Confederate Veterans’ Organization known as the United Confederate Veterans. It has the celluloid button with red and white ribbon from a U.C.V. Reunion. 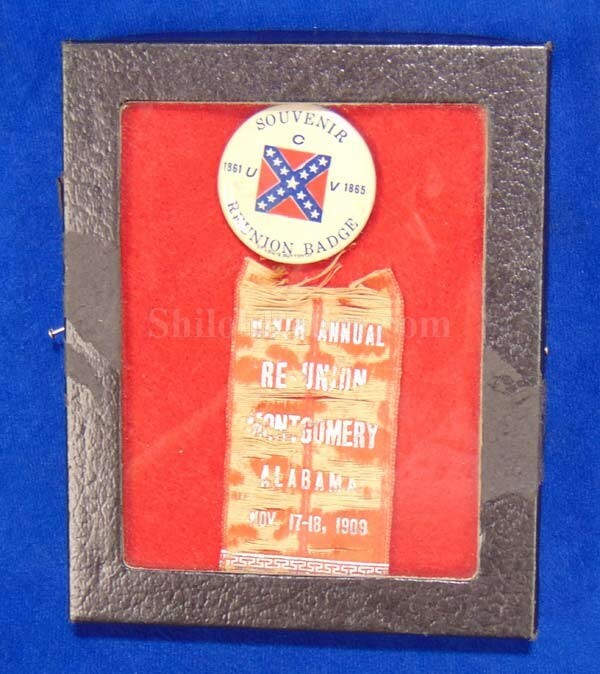 The celluloid has the bold Confederate battleflag with the "UCV” and the "SOUVENIR REUNION BADGE". 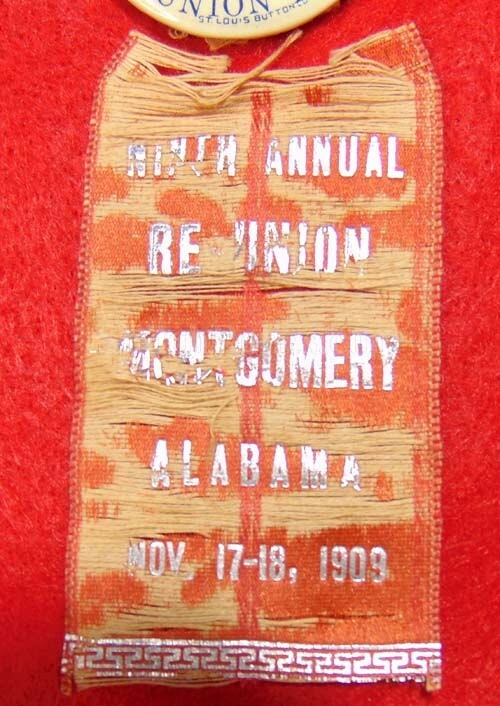 The ribbon has the lettering with the location of Montgomery, Alabama and the dates of the reunion which was November 17th & 18th 1909. 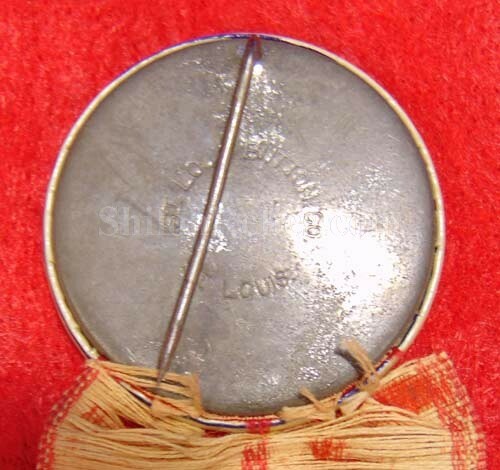 The button is 1-1/2 inches across and it has the original maker’s mark on the back. The ribbon is frayed but still displays well.